Greenville's culinary scene has been growing at a very rapid pace. So rapid recently that I can't even keep up with every new restaurant that opens downtown. 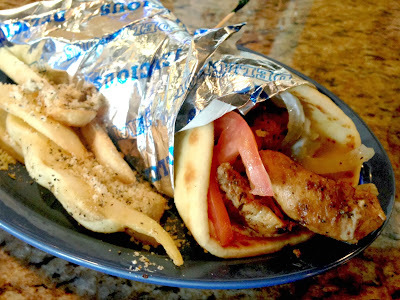 A new Mediterranean place, Greektown Grille, opened up a few months ago and I recently tried it out for lunch. I was pleasantly surprised at the prices of their sandwiches. They are all served with a small portion of seasoned steak fries and ring in under $7.00. It's rare to get that downtown these days. I opted for the Chicken Souvlaki Pita at $6.55. The pita was nice and soft, and the flavors were just right. When I got it I thought I would want more taziki sauce, but once I started eating it I realized it had enough flavor without additional sauce. I have a problem when I go to new restaurants. I get so excited to try the menu items, that I can't just order one thing. So I also ordered the Spanakotiropita, layers of filo dough filled with spinach, feta, and herbs. The Spanakotiropita was equally as tasty. The crispy layers of filo dough are so good in combination with the creamy cheesy spinach-y goodness inside. 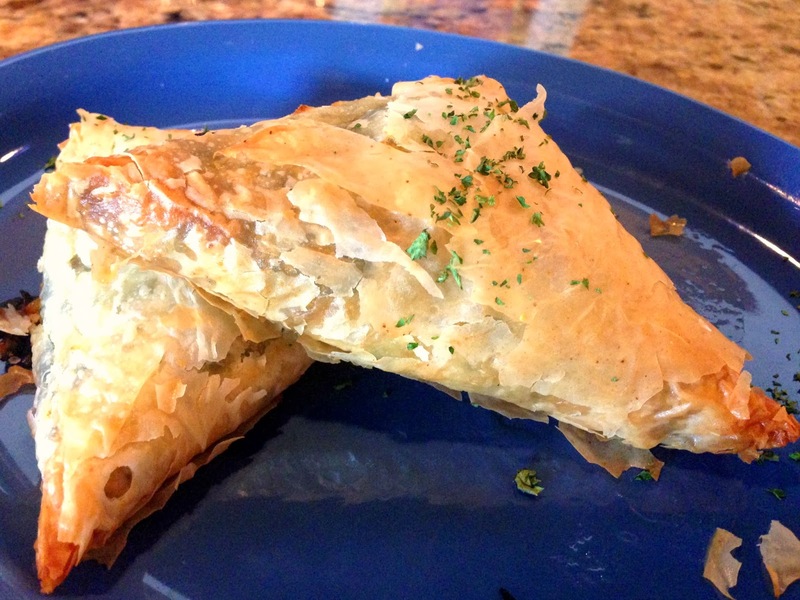 This is one of my all time favorite Greek foods, and their version was executed very well. Overall I was very pleased with Greektown Grille. To be honest, I typically shy away from any restaurant with "Grill" or "Grille" as part of its name. Why do they have to add that extra "e" in there? And isn't it obvious that some of there menu items are grilled? Is it completely necessary to put it in the name, too? I think that's just the inner marketing major in me coming out, it's no secret that I can pick apart a restaurant's branding. Regardless of my weird hang-up about the name, the food is great (and cheap) which is the most important part. If you live in the Upstate, you should give it a try. Yum! This place sounds good! I love greek food and spanakopita is my fav! !